Doors at 8pm. Music at 8:30pm. Get advance tickets here. Follow the event on Facebook for important updates. 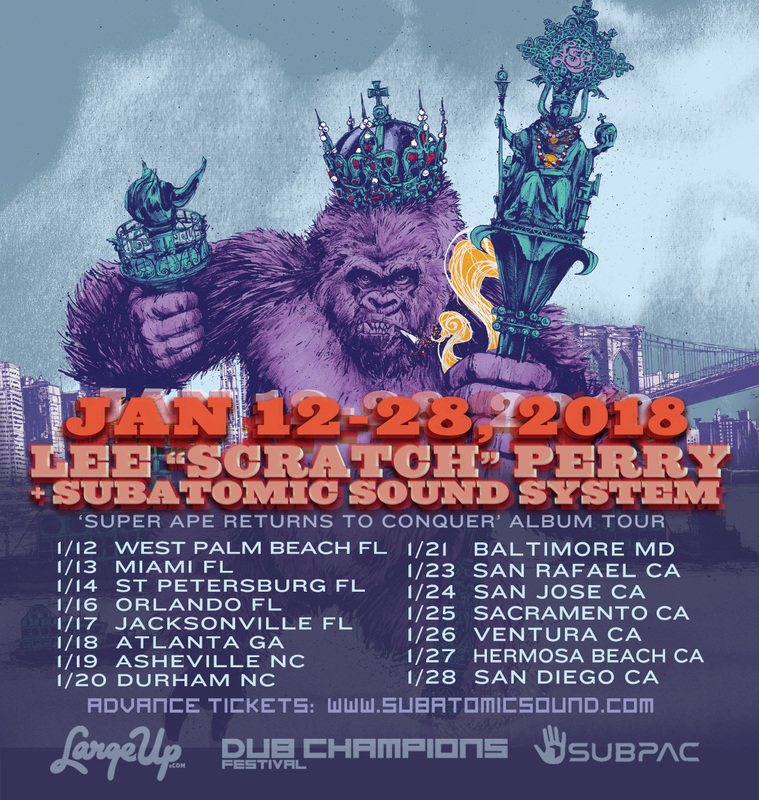 Lee Scratch Perry & Subatomic Sound System live on tour across North America for Dub Champions Festival in support of the top ranking new “Super Ape Returns To Conquer” album.